What Happened to the ‘Wagon Train’ (1957-65) Stars? From 1957 until 1965 the prairie schooners of TV’s Wagon Train series rolled over 284 episodes. Throughout those eight seasons only eight actors (no actresses) appeared in fifty or more episodes. A minor actress named Kay Stewart popped up in eleven episodes from 1958 to 1964, playing eleven different women. Her career would span 40 years and 99 screen credits, mostly TV spots. Kay was an uncredited telephone operator in the Bob Hope Hit The Ghost Breakers (1940) and a slave girl (also uncredited) in Spartacus in 1960. 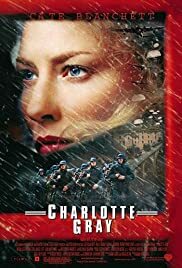 In short, she was one of those hundreds of bit players who made a living on both big and small screen, but whose careers never amounted to much. There were eight actors who were more or less ‘regulars’ in Wagon Train. I shall look at them in ‘episode total’ order, highest to lowest. Only two are alive today. One of these survivors is Michael Burns who ‘evolved’ into a regular after appearing in an early episode as a boy stricken speechless by the murder of his father. I actually watched that episode yesterday, unaware until today’s research that he must have struck a chord with the producers, for he would continue in the series for another 50 episodes. The other survivor is Robert Fuller, but more of them both later. Missouri-born Frank played the series’ comic relief character Charlie Wooster, the wagon train’s irascible cook, and would grace all but 13 of the 284 episodes shot over eight seasons. A former stunt man and rodeo performer, he was notoriously fond of a drink, a weakness that often gave him the Dutch courage to pick fights which he invariably lost. The next time you watch either Fort Apache (1948) or She Wore a Yellow Ribbon (1949), you might notice Frank as the bugler in both of these John Ford/ John Wayne westerns. He is right there alongside or just nearby the Duke in almost every scene. Two years after the Wagon Train series ended, Frank succumbed to a heart attack at 64. Californian Terry Wilson played trail hand Bill Hawks in 267 episodes. He was a former US Marine who served in the Second World War, a football star and a stunt man/rodeo rider. In fact he was a life-long friend of Frank McGrath and the two men performed together on the rodeo circuit and at prison rodeos before finding their way into the movies. It was the original wagon master Ward Bond who insisted on Warner Bros signing on both Terry and Frank for the show. It fell to Terry to inform John Wayne of Bond’s sudden death in 1960. ‘Hold on’, he said to Wayne over the telephone. ‘Ward just dropped dead.’ The two men wept at either end of the phone. Terry died in 1999 at the age of 75. He left a wife and three children. Horton played the scout Flint McCullough in 189 episodes and was my favourite TV star when I was a boy until James Garner came bobbing down the bunny-trail as Brett Maverick! Horton was a class act who really should have gone on to bigger things. His relationship with Ward Bond was not a happy one on the set, however, apparently due to Bond constantly spreading rumours about Horton’s sexuality! Perhaps, this stemmed from Bob’s long association with musicals. He was also a nightclub singer and a recording artist. His three marriages included one to the delightful Barbara Ruick. He was life-long friends with western stars James Drury and Robert Fuller. He passed away in 2016 at the age of 91. At his own request there was no funeral and his remains were quietly cremated. John was chosen to replace the iconic Ward Bond as wagon-master following Bond’s death in 1960. It was a tough spot to fill because Bond had been the heart and soul of the series. However, McIntyre did such a good job as Christopher Hale, the new wagon train boss, that he would later be earmarked to succeed the late Charles Bickford as the patriarch in another popular series The Virginian. In 1935 McIntyre married actress Jeanette Nolan and the couple would appear together in scores of western movies and TV shows, usually as husband and wife. Their marriage lasted 56 years until John’s demise in 1991 from emphysema. Jeanette followed him seven years later. Millions of Americans tuned in every week to watch Major Seth Adams guide his wagon train across the west, despite the fact that it never reached its destination even though it was on the trail for eight long years. Nobody cared. Ward Bond was a well-known face to movie-goers. Although he would not see his 58th birthday, he managed to chalk up 273 screen appearances, many of them in some of the cinema’s greatest movies. 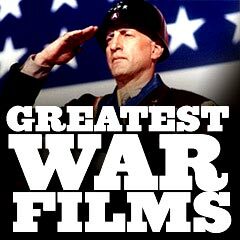 These included Gone with the Wind and Drums Along the Mohawk in 1939, The Grapes of Wrath and The Mortal Storm in 1940, The Maltese Falcon (1941), Gentleman Jim (1942), The Searchers (1956), plus many more major features. He and John Wayne were USC room-mates as young men and it was the Duke who convinced him to go into acting. During his career Bond appeared in no fewer than 26 John Ford films! He passed away from a massive heart attack in a hotel room in Dallas after attending a football game. Denny portrayed Duke Shannon, the scout who replaced Flint McCullough, in 106 episodes from 1961 until 1964. At 6 feet 4 inches tall (1.93m), he was the first blonde Tarzan when he starred in Tarzan, the Ape Man (1959). Other than this movie he was almost exclusively a television actor for nearly 50 years. Amyotrophic lateral sclerosis took him at 80. 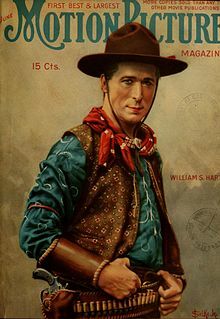 Fuller portrayed chief scout Cooper Smith in 60 episodes of Wagon Train towards the end of the series, but is probably best remembered as Jess Harper in Laramie (1959-63). As a young man he served 15 months in Korea during the conflict there. On his return to the states he enrolled in acting classes under Richard Boone and renewed his earlier interest in acting, although he was really a dancer. In Gentlemen Prefer Blondes (1953), he was in the male chorus line and danced with Marilyn Monroe. He is now (2018) in his 85th year and still appearing at western nostalgia outings attended by his still strong fan base. Michael played Barnaby West in 46 episodes of the series, although he actually appeared in 51. His first five roles were as five separate characters before someone at Warners decided he should become a ‘regular’. He abandoned acting to pursue an academic career at Yale University where he earned a PhD in 1977. Later, he taught Modern European History at Mount Holyoke College in Massachusetts. He retired from teaching in 2002 and he and his wife moved to Kentucky and now raise thoroughbred horses. Terry Wilson played assistant wagonmaster Bill Hawks for the last four seasons of Wagon Train subsequent to Ward Bond’s death. He never was a rodeo rider, but did personal appearances at rodeos as you correctly observed where he showed off his excellent horsemanship and shooting skills. I stand corrected, Dorothy. Thankyou. Much appreciated. To add to your reader nationalities’ collection – I am Scottish! I’m sure you guessed that from my email address! Watched every week with my father. Great memories. Saw McIntyre and his wife, in a diner, in kalispell, Montana, in the early 70″s. They were both so nice great people. I had no idea you were an American, Mike. I wish email addresses identified the owners’ hometown. Unless the information is volunteered I am usually left assuming. Just now read your reply. Was born and reared in Ft. Lauderdale, however I lived, several years, in Kalispell, Mt. My current brother-in-law, who now resides in Utah, and is about 87, was born and reared, in I believe, Eureka, Mt. and new McIntyre well because he also was from there. I only met them that one time but they could not have been nicer. 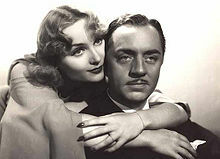 Interesting enough, that other great, male actor, from Montana, can not recall his name but I am sure you will know who I mean, was on a cruise ship, with my father, from N.Y. to London, in 1959. My father said that he was also very down to earth and nice. I guess Montanans are just that way. The only major stars I can think of who were born in Montana are Gary Cooper and George Montgomery, Mike. Was it either of them? Alan, your breadth of knowledge is amazing! I simply read a lot, Cat.